Umckaloabo Liquid Extract, Umckaloabo (Pelargonium Sidoides) Dried Root Tincture Features and description: NON GMO! Gluten Free! Highest Strength umckaloabo liquid extract! umckaloabo liquid extract contains ONLY natural ingredients! 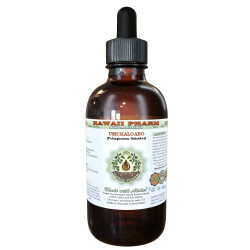 High ..
Usnea Liquid Extract, Usnea (Usnea barbata) Dried Thallus Tincture Features and description: NON GMO! Gluten Free! Highest Strength Usnea liquid extract! Usnea liquid extract contains ONLY natural ingredients! High Quality Usnea liquid extract -..
Uva Ursi Liquid Extract, Organic Uva Ursi (Arctostaphylos Uva-Ursi) Dried Herb Tincture Features and description: NON GMO! Gluten Free! Highest Strength Uva ursi liquid extract! Uva ursi liquid extract contains ONLY natural ingredients! High Quali..